When you can share a gorgeous smile, you feel more confidence. It may be the most important thing you put on any day is your beautiful smile. Is your smile not as lovely as you’d like? Do you avoid being around your friends who bring out their camera phone whenever you’re together? Are you reluctant to go to that family reunion, job interview, or special occasion? Do you have a missing, cracked or chipped tooth? At Hereford Dental Care in Monkton, we can offer a tooth crown, dental crowns and dental bridges to restore your smile. A tooth crown is a “cover” that is placed over your own tooth or over a tooth implant. 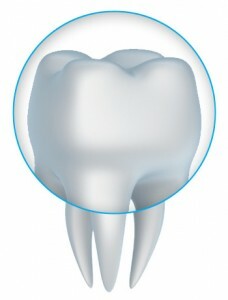 Dental crowns are also used to secure dental bridges, which can replace a missing tooth or teeth. Dental crowns are a procedure that can repair cracks or breakage. Your Monkton dentist prepares the tooth and then bonds the crown to the top of your tooth with a strong, durable cement. If you’re not sure which option is best for you, please call our office near Parkton. We want to help you! The benefits of getting a tooth crown or dental crowns are many. A tooth crown looks like a natural tooth. When you laugh or smile, no one will be able to tell it isn’t a tooth you were born with. Dental crowns feel like a natural tooth in your mouth. A tooth crown functions just like a natural tooth. You can eat and chew food, and the bonus is if you are replacing a missing tooth or missing teeth, you won’t be using teeth on only one side of your mouth, causing more wear and tear on that side. Dental crowns are sturdy, don’t slip like dentures, stain resistant, and will never get a cavity. They also protect the underlying tooth from further decay. A tooth crown tops a dental implant. 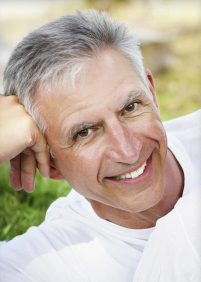 Dental implants are a remarkable procedure that is almost like growing a new tooth! Dental crowns require no special care. Simply brush, floss and visit your dentist regularly to properly care for a tooth crown. Dental bridges are used to replace a gap in your smile caused by a missing tooth or teeth. Dental bridges are secured by dental crowns on each side of the gap. Dental bridges look, feel and function like a natural tooth, so you can laugh, smile and eat like usual. Dental bridges are comfortable and actually make your smile feel complete and “full” again. Another advantage of dental bridges are they require no special care beyond your usual dental hygiene regimen of brushing, flossing and visiting your dentist regularly to maintain good dental health. Near Parkton? Contact Us for a Tooth Crown or Dental Bridge Appointment in Monkton! So if you need any restorative dentistry, please call our Monkton office. Proudly serving residents of Parkton and Sparks MD, too!